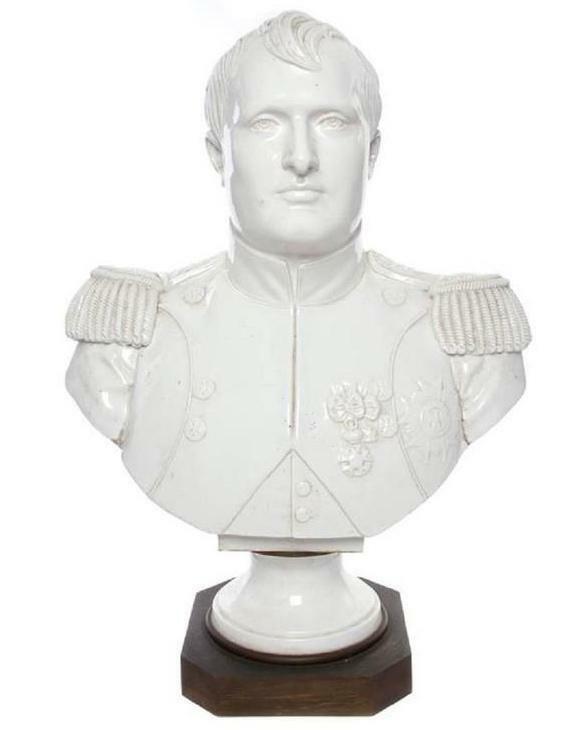 This rare and wonderful porcelain bronze-mounted bust of the emperor, Napoleon Bonaparte, comes from the royal Sevres factory. 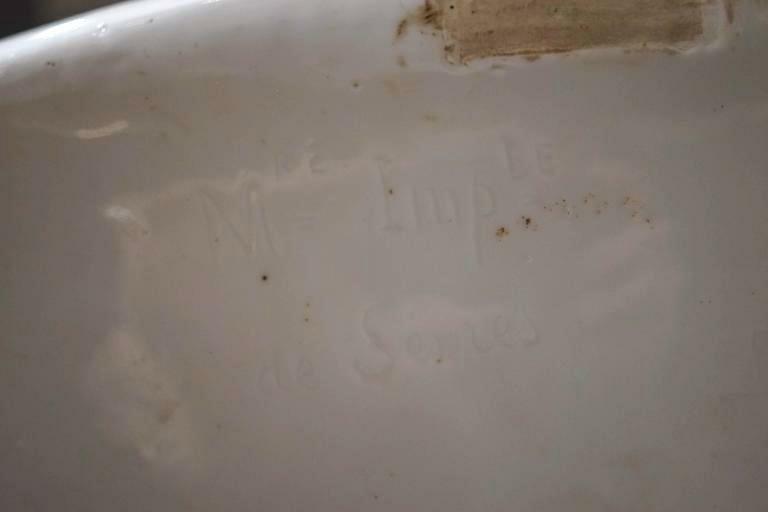 It measures 25 inches (63.5 cm) and is in good condition, with some areas of visible rubbing/wear and glaze losses, plus some visible cracking noticeable on the rear and underside. 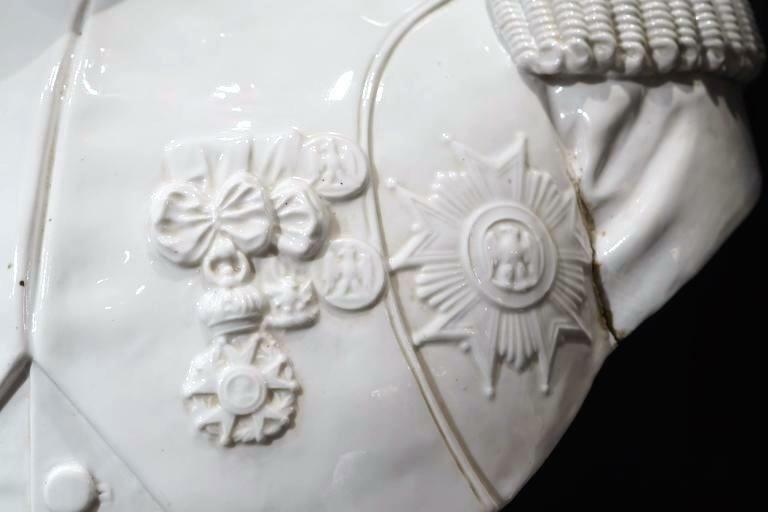 It carries the Manufacture Imperiale mark used during Bonaparte's reign, 1804-1814, which reads "M Imple de Sevres". 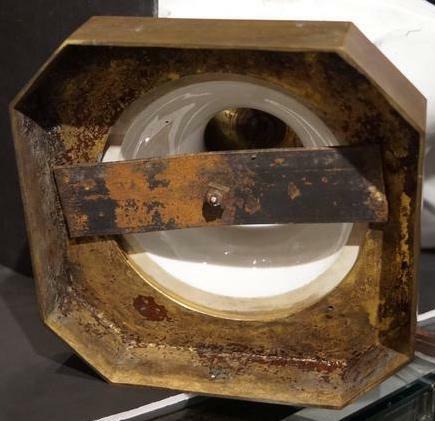 Overall good condition consistent with age. 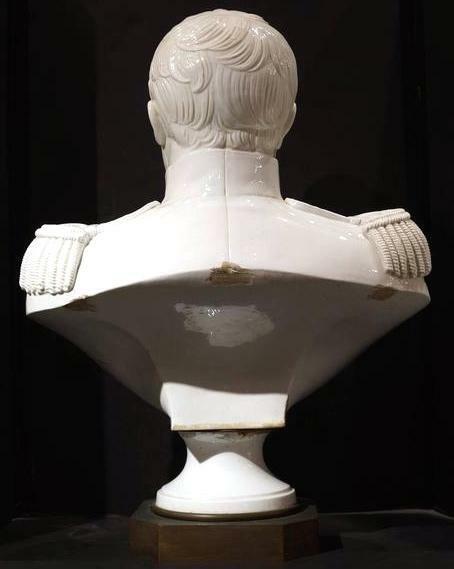 There are three obvious areas of glaze losses and wear on the rear of the bust, possibly due to some prior mounting, an area of restoration to the underside in the rear, plus cracks and small losses on the rear of the socle. 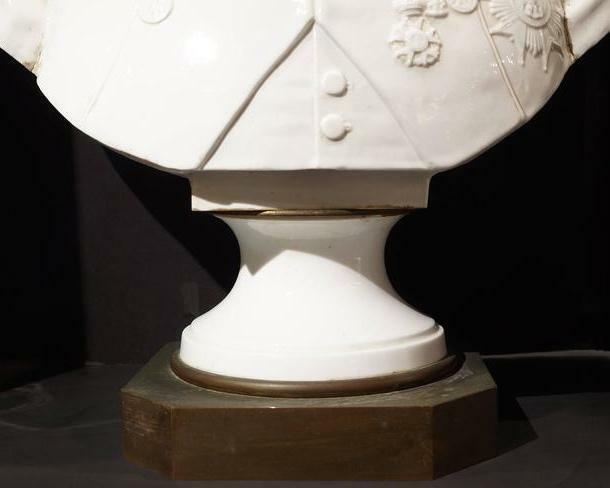 There are old partial restorations to firing cracks where each arm meets the chest. 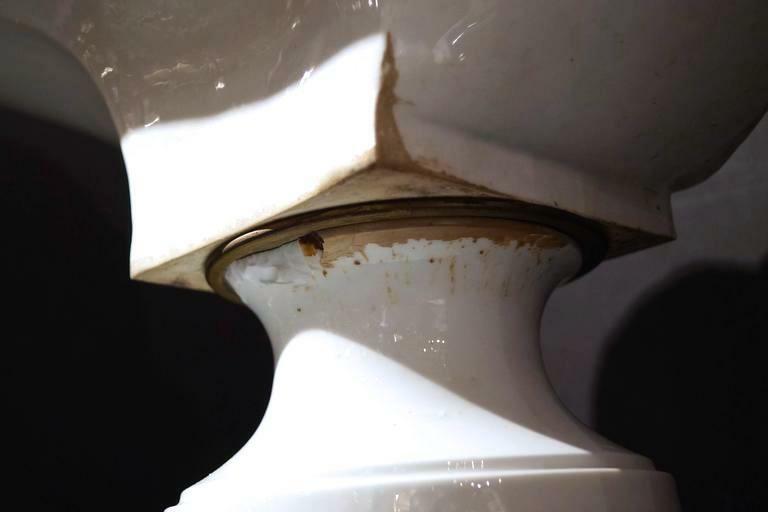 Additional images forwarded upon request. 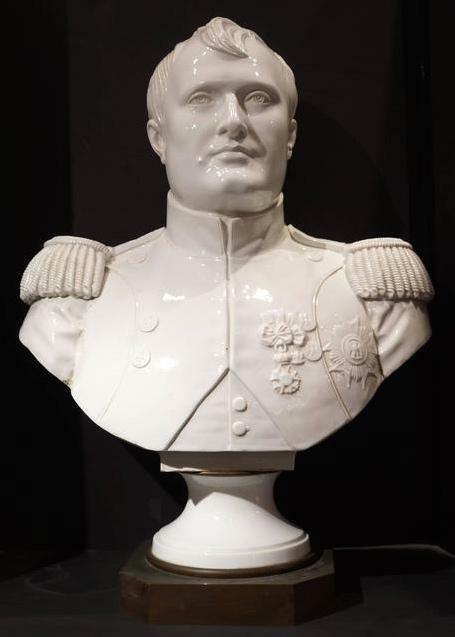 Items Similar To "Antique Napoleon Era White Glazed Porcelain Bust from Sevres"